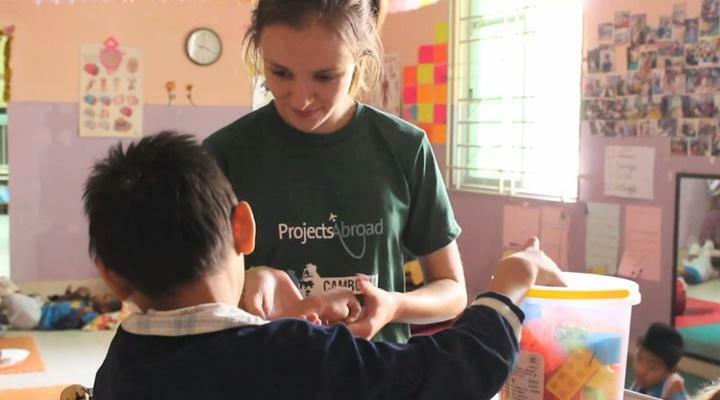 Students and recent graduates looking to gain experience in the field of physiotherapy can intern abroad with Projects Abroad on a placement in Cambodia. A physiotherapy internship in Cambodia will give you a greater understanding of how professional physiotherapists work in a developing country and provide you with the opportunity to help needy patients and improve their quality of life. To participate in this internship, you must have completed at least one year of related studies or training by the time you join the project. We offer a variety of placements for students with different experience levels. If you have studied for at least a year, you will have the opportunity to work at a centre that cares for babies and children who have a variety of physical or mental disabilities. The centre accommodates children from the city and other provinces, most of whom are vulnerable and require constant care. It is important that you have a positive attitude and a willingness to help disabled children. The physiotherapy department at the centre has a basic schedule for the children, allowing them to have quality time in the physiotherapy room as often as possible. 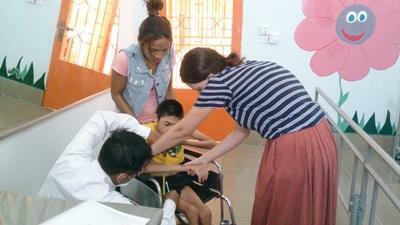 Each child has different needs: some are learning to walk while others suffer from muscular problems. Other children need to have their joints massaged regularly to maintain their physical health. Extra help from interns with these tasks will allow more children to use the room and get treatment on a regular basis. The physiotherapy room is relatively well equipped by Cambodian standards, with a variety of equipment including cushions, balls, mats, and specialized chairs. If you have studied Physiotherapy for at least three years, you also have the option to work at a centre for child and adult patients living with disabilities and those affected by HIV. Unfortunately, most of the patients have never been officially diagnosed and some have not received any treatment whatsoever. While the local staff work are extremely dedicated, the centre would greatly appreciate your help in this department. At this placement, you will be expected to work independently. Having specialized skills or interest in working with disabled people would serve as an advantage at this placement. Recently qualified physiotherapists would also be welcome. Those with three or more years of work experience and who can commit to at least eight weeks on the project have the option of working at a centre which cares for veterans and those affected by the Vietnam War. These centres are two of three physical rehabilitation centres that Veterans International operates in Cambodia. Veterans International has been working with landmine victims and people with disabilities since 1991. At this placement, you will work alongside one of the local physiotherapists and assist children and adults with a variety of conditions including people who have suffered from Meningitis, people with cerebral palsy, and children with club feet. Depending on your level of knowledge and experience you may be given your own patients to work with. While you are interning as a physiotherapist in Cambodia, you will stay in one of the Projects Abroad apartments with other volunteers. You can spend your free time exploring Phnom Penh and the surrounding region with fellow Projects Abroad volunteers. If you have qualifications or experience in this field then we can make use of your skills volunteering abroad as a professional in Cambodia. While physiotherapy internships in Cambodia are available to participate in for two weeks, and you will be able to gain valuable medical experience on a short-term trip, we recommend staying for a longer period to allow yourself more time to get to know the local medical system, see more of a variety of conditions and procedures, and develop stronger relationships with local medical staff.